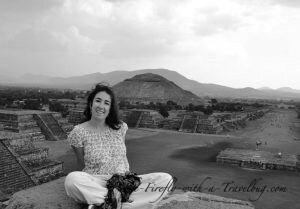 Shining a light on my world: The sparkling journey of a girl with a travel-bug ! At the end of my 6 months program, I decided to come back to RVA as a teacher for the November team. But why this decision and what does it mean to be a teacher in another kind of school? Going home/ traveling for 2 months before coming back to RVA has given me time to reflect on my ambitions, my visions for the future and the way I want to live my life. Of course, I keep questioning and wondering what I’ll do in the future, but it also helped me have a better understanding of the reasons why I wanted to stay in the first place! First Cultural shock, Canada. It’s beautiful, it has plenty of nature, but man, stepping in a supermarket, after 6 months in a place where the street market is where everything happens, is quite overwhelming. All the lights, the atmosphere, the rush, the millions of processed food, it’s easier to find chips and cookies than just plain vegetables, rice or beans. This feeling of not knowing what to get because there’s just too much, and nothing natural. It’s unbelievable what we feed our bodies with… Perfection doesn’t exist, but the proximity with the vendor and the freshness of products which I got so used to are quite a luxury that I will learn to appreciate more now! Then spending time with my Friends and Family, in Amsterdam, in France, and in the UK, gave me a second shock. I love all my people over there and seeing everyone struggle in their everyday life made me wonder about my own luck! Community life is of course not for everyone, but the worries that keep my people awake at night (and that used to keep me awake too!) seem so far from what the world is going through… I feel lucky that I found a place and a mission in which I feel that my personal worries are so minimal compared to the work we are doing. Why is it that in our world, we have to worry about making money for someone else, about the next car we’re going to buy, about the new TV we want for our beautiful living room. There’s nothing wrong with that, but we also need to stop and question our lifestyles. Why is it that we need the latest I-phone or the new ice cream triple caramel double chocolate flavor? These are not real needs. After we get it, then we need something else. There is no end to this circle of “needs”. I didn’t see this at first, but now that I stepped out of it, I can only see all the things that I used to do and how little sense they make to me now… And I’m sure I’m still doing things that make no sense at all! So from all these reflexions and thoughts, I am happy with the decision I took to head back to Saint Vincent and work with young people from all over the world and with all backgrounds imaginable, to try and make a difference! Crossing to the other side and becoming a team leader / teacher / facilitator is a great challenge. My students expect me to know what I’m talking about and to give my best to make their experience as rich as possible and of course, I have big expectations for myself as well! I am not stressed out about paying the rent or about what I’m going to make for dinner or how I will decorate my house! But other things come to disturb my sleep! How are we going to organize the cleaning schedule so that we can all live in a clean and safe environment? How do we plan the coming weeks so that we have time to learn about different topics students would like to investigate? Agriculture and Climate Change? Biodiversity in SVG? Capitalism and Climate change? Permaculture? And how to organize the different gardens so that we can grow enough food for all of us? and how about the seeds and seedlings? It’s quite a learning process… I am leading a group of 10 amazing students that are super fun to work with, in a really nice atmosphere and with a lot of ideas!! We learn a lot from each other. And after one month, I can already see how some of them are evolving, gaining confidence, improving their English Skills, and opening up to the community!!! We now started our Permaculture Design Course with Luke, and it’s a great opportunity (and I’m happy to be considered as a Student in this course!!)! We learn about the philosophy behind permaculture and it’s just so appropriate to the community life that we are living here together! Earth Care, People Care, Fair Share! It is such a down to earth, simple, and straightforward philosophy that it sounds like it should be Common Sense. And yet it is so far from the “modern” life we are living. I hope that I can apply this philosophy to my life, learn from it and lead a more fulfilling life thanks to it. Until then, I will do my best to help my students have the best experience of the program and to let them become the Climate Change Activists they want to be!! "What? You're leaving again? Where to this time?" A few questions that are part of my life, but if they were not there I would not be me :) Trying to become a conscious citizen of the earth, I am embarking on a self discovery journey... will you follow me?